Imbil Bridge Farm, enjoy a private farm stay in a magical location. 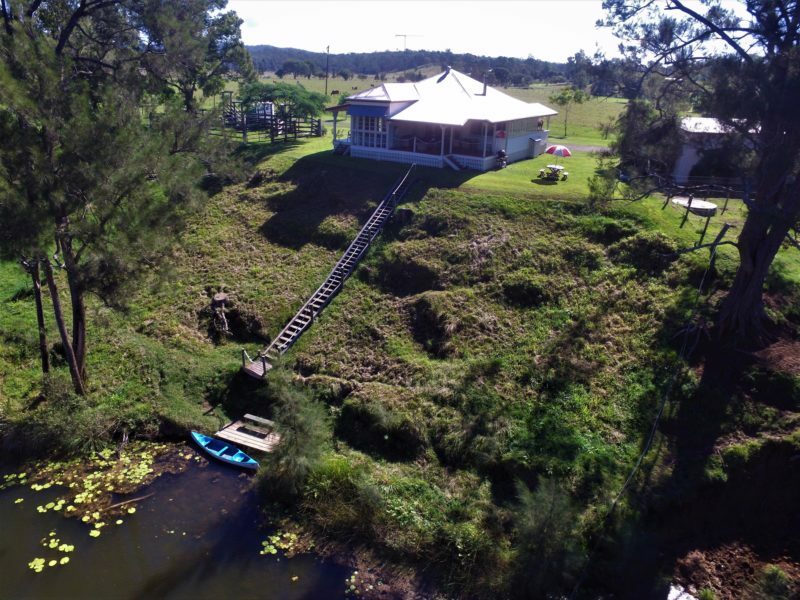 Situated on Yabba Creek at Imbil in South East Queensland just 95 minute’s drive north from Brisbane, Imbil Bridge Farm can be an adventure getaway or a relaxing escape to the country. The farm is unique, peaceful, private and exclusively yours. 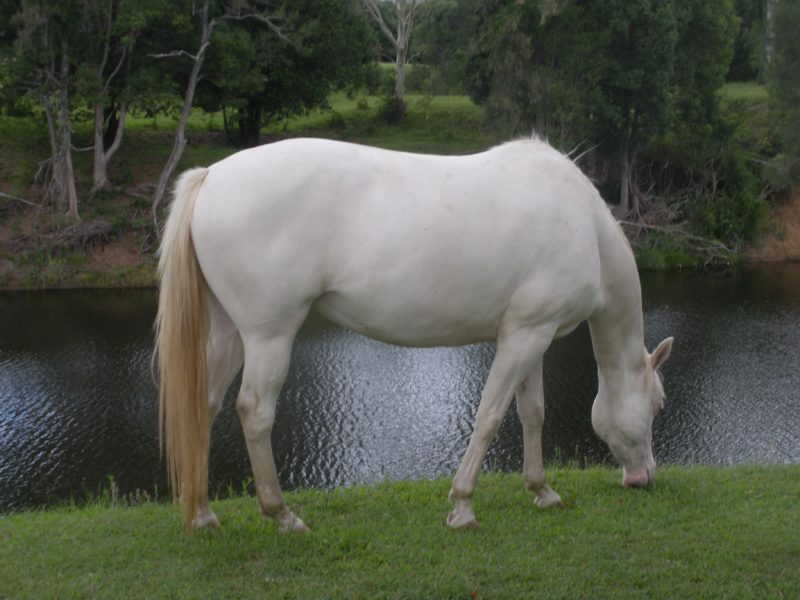 A picturesque horse and beef cattle 30 acre property surrounds the three bedroom 1920s Queenslander farm house which has been elegantly restored. There is a wood burning Norwegian fireplace however the home is also air conditioned for both cooling and heating. 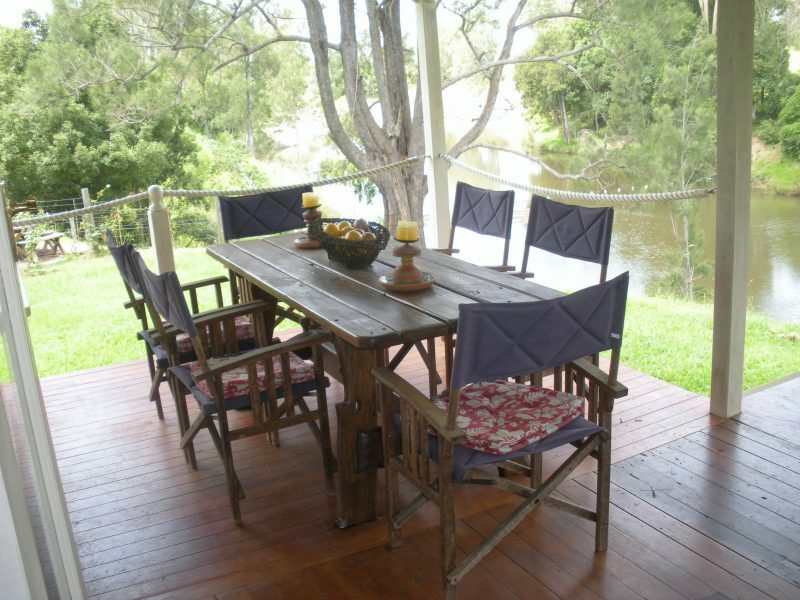 Chill out on the verandah and watch for platypus, turtles, saratoga fish, and a variety of water birds in an ever changing show of wildlife. Downstream of the farm house the creek is held back by a natural waterfall and weir providing a constant deep water level for kayaking and fishing. Their private jetty is directly accessible down stairs from the house. There is a two man canoe for guest use. The charming village of Imbil just a short walk across the town bridge. The village is the hub of the beautiful Mary River Valley and has an historic hotel, cafes, general store and most facilities. The house features a lounge-dining room opening to the riverside veranda. There are three bedrooms – a queen with ensuite, a second queen, and two singles. 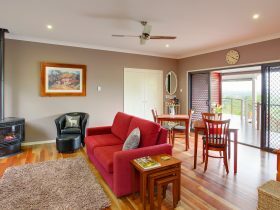 Each bedroom has French doors opening onto a second verandah and all have views of the property and the river. A full kitchen and main bathroom/laundry completes the home. Please note that the home and surrounds are not suitable for toddlers unless they are closely supervised. Minimum stay is two nights except school holidays are three nights. The rate includes for up to three people. Each additional person is AUD40 per night extra up to a maximum of six guests.